The simulation event on IPL bidding was conducted by INVESTOFIN – the Finance Club of JIMS on Friday, 1st September, 2017. 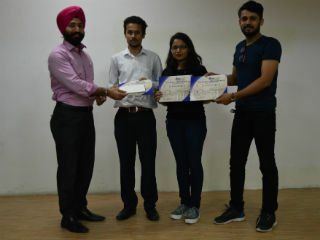 The prime objective for conducting this event was to improve the budgeting and decision-making skills of the students and to assess their general knowledge and awareness in different spheres. The event got a tremendous response from students. In total, 28 teams participated in the event. Each team had 3 members. Initially screening was done by conducting MCQs based written test. To With a More tha Massive crowd of students barged in to participate in the event. 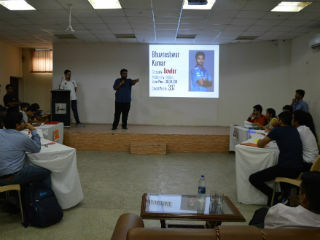 Students were instructed to be in teams and the total number of teams which participated were 28. There were 24 MCQs in all. Six teams were shortlisted on the basis of scores they earned. The names of shortlisted teams were Bangalore Rockets, Mumbai Legends, Delhi Dynamos, Gujarat Gladiators, Punjab Blasters and Kolkata Tigers. 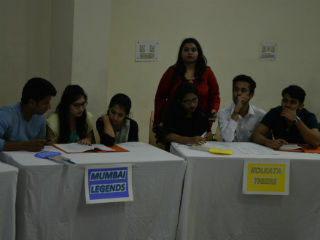 The teams started the bidding with great zeal and fervour. As per the rules, each team had to buy 8 players with in a budget of Rs.7 crore. Out of 8 players, teams were supposed to select 5 Indian and 3 foreign players. Also, there was a condition to select exactly 3 batsman, 3 bowlers, 1 wicket keeper and 1 all rounder. The rules of the bidding made the event even more exciting and thrilling. 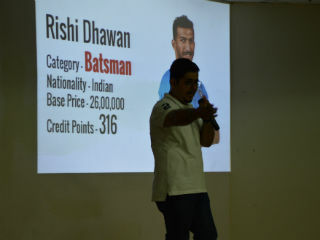 While the teams were engaged in bidding, the huge crowd of audience was engaged thorough general awareness questions content on business, economy and sports at frequent intervals. For every correct answer, they were rewarded with chocolates. Finally, top three performer teams were awarded cash prizes. The first prize of Rs. 1500 by earned by Gujarat Gladiators while second prize of Rs. 1000 and third prize of Rs. 500 were grabbed by Kolkata Tigers and Punjab Blasters respectively. 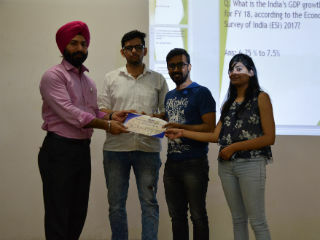 Mr N P Singh-Finance Club Incharge gave away cash prizes and certificates to the winning teams. 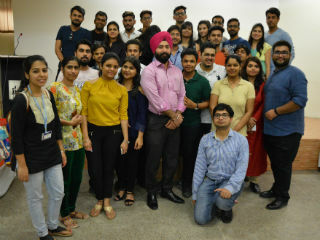 The event was concluded successful with a huge participation of enthusiastic students and support of the Dean, Dr Pratima Daipuria and club members in organising this great event.